We have emerged as one of the leading manufacturers and suppliers of a wide collection of Natural Gypsum Lumps that are broadly used in various agricultural applications. For the fabrication purpose of these, we use optimum quality factor inputs that are sourced from trustworthy vendors of the industry. 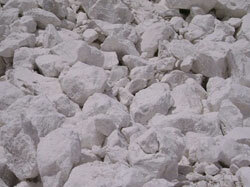 Detailed Product Description Natural Gypsum Lumps.